Among the many uncertainties of IMO 2020, The Swedish Club says one thing we can be sure of is that the emerging split of scrubber “have” and “have nots” will produce a two-tier charter market. “In this area there are many unknowns facing ship operators. Will low sulphur fuel be available? If so, what will it cost? What risks do we face in the changeover period? How can we turn this to our advantage?” says Lars A Malm, Director Strategic Business Development & Client Relations. 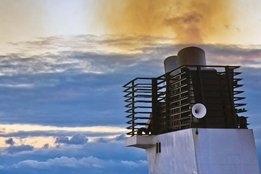 The comments come alongside the Club’s publication of a new guide aimed at assisting shipowners with the upcoming global 0.50% sulfur cap on marine fuel that comes into force from January 1, 2020. “The Sulphur Guide is aimed at providing no-nonsense information to those thinking about the effect potential modifications will have both on the operation of their vessels, and existing charterparties and charterparties entered into in the future,“ says Malm. The Sulphur Guide has been written in conjunction with Tony Grainger, Marine Engineer, TMC Marine; Paul Harvey, Associate, Ince & Co and Jamila Khan, Partner, Ince & Co. The shipping and refining industries are in the eve of a new regulation which will affect marine fuel specifications and in turn the global market. Around a fifth of global fleet could be using HSFO post-2020.